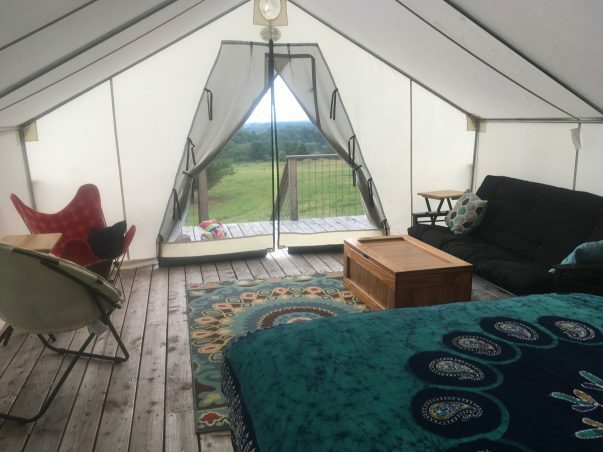 Welcome to The Meadow @ Shelterbelt, for people who love the idea of camping without all the discomfort. 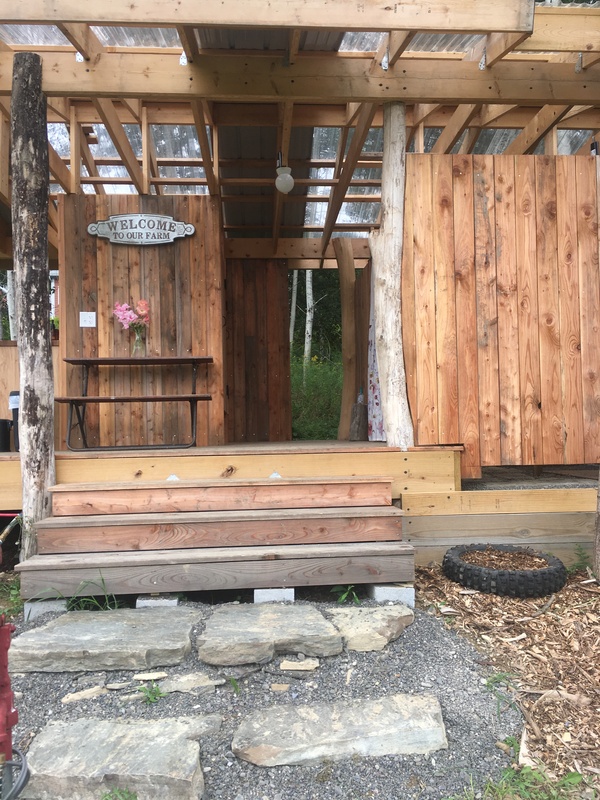 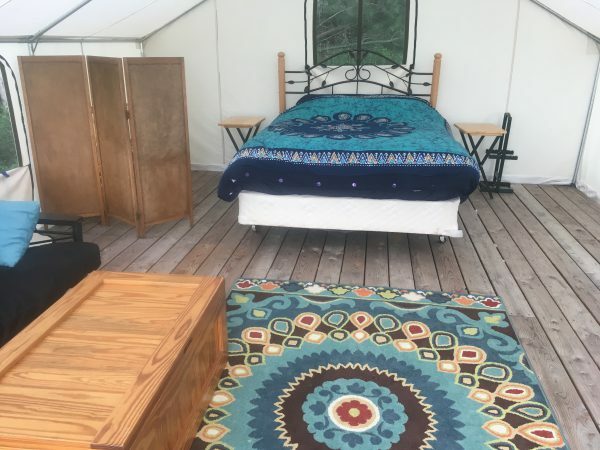 The Meadow offers overnight accommodations for 4 people in a 15′ x 18′ cabin tent fully furnished with a Queen bed and a full futon, bedding, chairs, and tables. 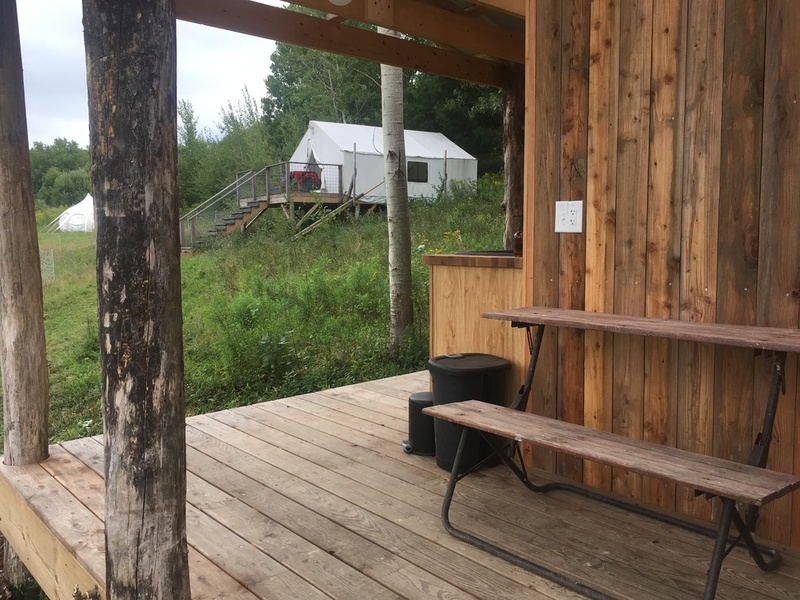 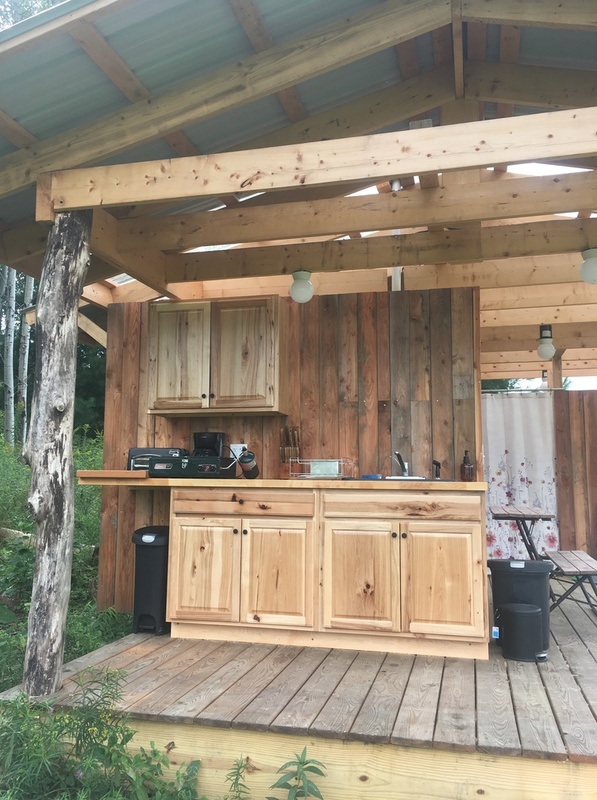 Guests also have full access to our deluxe bath house and camp kitchen, with hot showers, flush toilets, and a rustic cooking facility with 2-burner stove. 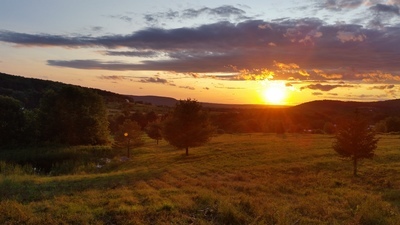 Enjoy the spectacular sunset view from your porch. 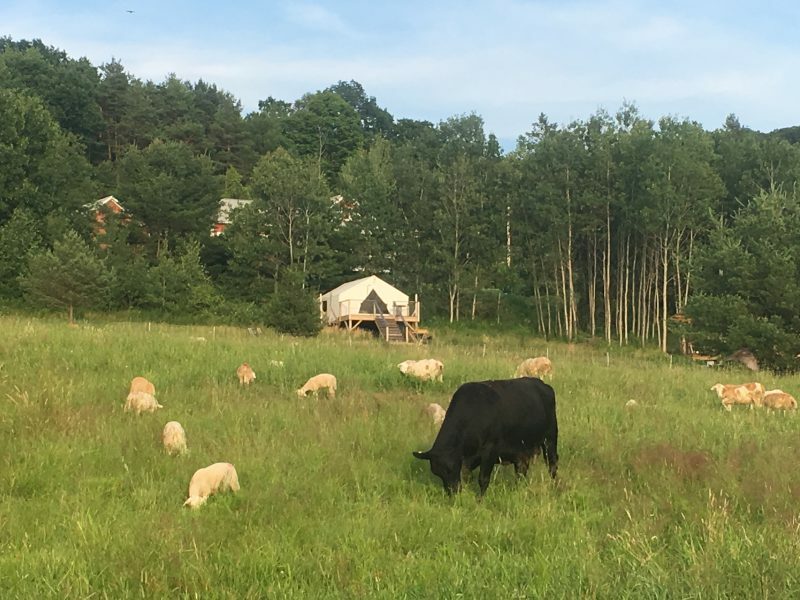 This is a working farm, and there are noises which may disturb your sleep: dogs barking, wildlife (foxes, songbirds, frogs). 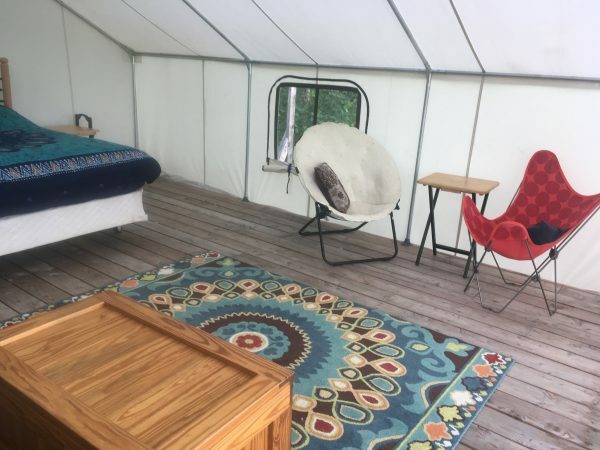 And while we try to make your stay as comfortable as possible, it is still camping: there is no AC, the weather is unpredictable, and there are insects.